EARLIER TODAY MINISTER for Transport Shane Ross said that he wouldn’t rule out a requirement for elderly drivers to retake their driving test. “People’s driving does deteriorate,” the Independent Alliance TD said. I think we should all probably submit ourselves to retesting and I am going to look at that. I think it is a really good idea. I have to look at the practicalities for it. 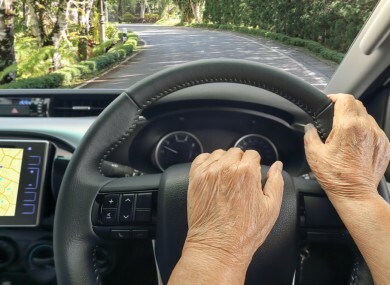 We’re asking: Should elderly motorists be made to take their driving test again? Email “Poll: Should elderly motorists be made to take their driving test again?”. Feedback on “Poll: Should elderly motorists be made to take their driving test again?”.